The Wolverine stump ripper and remover may be used with excavators or backhoes equipped with a thumb. The tool replaces the process of stump grinding and allows for complete removal without leaving grindings or stump remains that can cause sinkholes later, the company says. 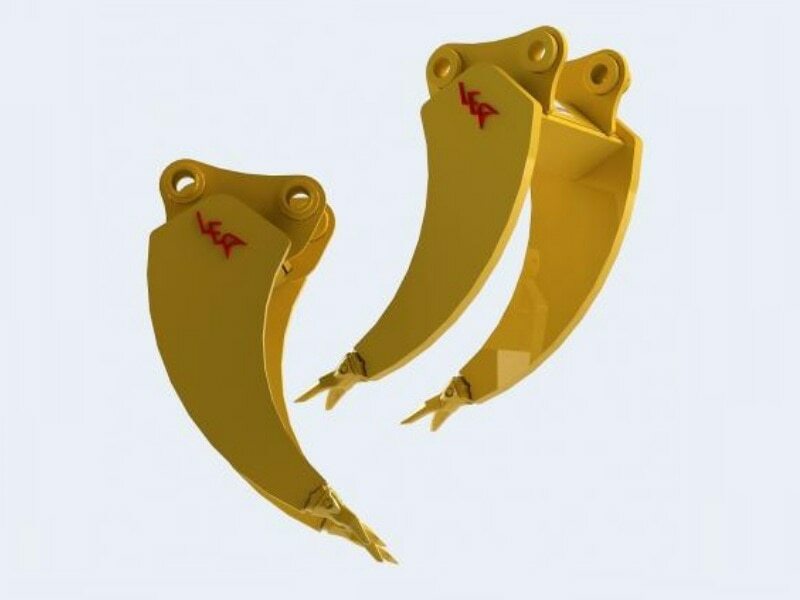 Unit pins or quick couples to an excavator or backhoe just like a bucket would, and allows the stump roots to be cut and ripped. The curved vertical blades have no cross members to impede the action. When used with a thumb, the stump can be grabbed and pulled out, thus allowing the stump to be removed completely, only leaving the ends of the roots. The stump can then be shaken and then loaded into a truck, without leaving a lot of dirt or grindings at the site.